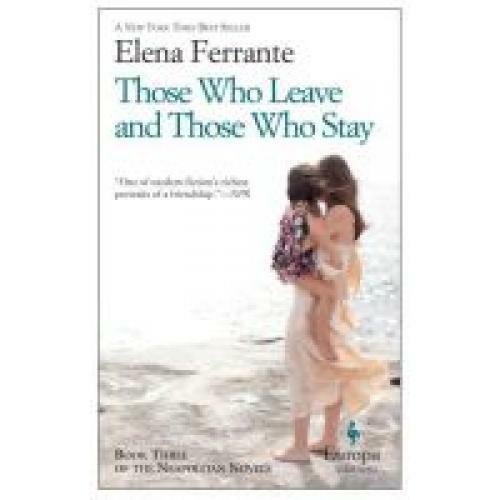 In this third Neapolitan novel, Elena and Lila, the two girls whom eaders first met in My Brilliant Friend , have become women. Lila married at sixteen and has a young son; she has left her husband and the comforts of her marriage brought and now works as a common laborer. Elena has left the neighborhood, earned her college degree, and published a successful novel, all of which has opened the doors to a world of learned interlocutors and richly furnished salons. Both women have attempted are pushing against the walls of a prison that would have seem them living a life of mystery, ignorance and submission. They are afloat on the great sea of opportunities that opened up during the nineteen-seventies. Yet they are still very much bound to see each other by a strong, unbreakable bond.